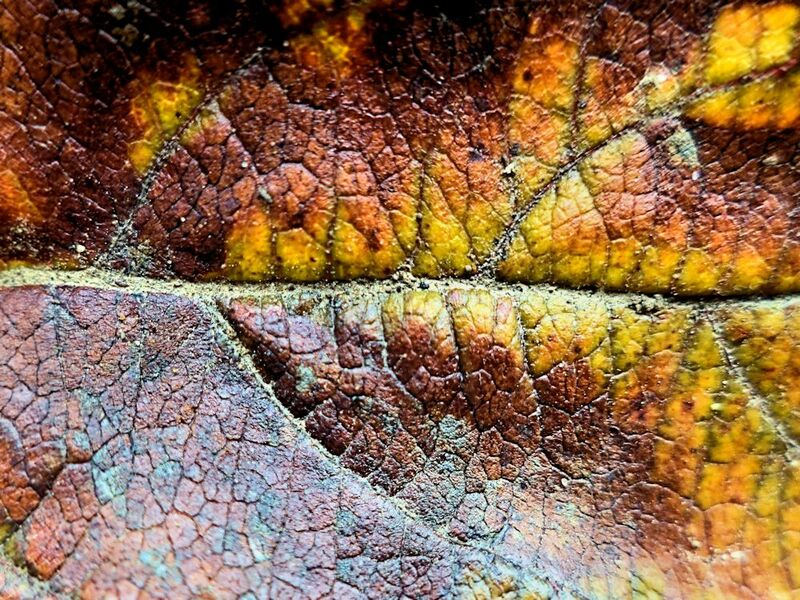 This leaf could really use some anti-ageing skin care. I put some more flickr photos up. I took some deer ones but havnt had time to sort them yet but there’s one abstract bottom one there . I’ve seen! Like I said before, I’m surprised at how creative you are 🙂 Maybe I shouldn’t be surprised?! Yeh it is always beign a prick, i am surrounded by prick events, it’s not good bleh….smacks all the pricks to the ground..was that sounding violent? The texture and colours are wonderful though. I like this! and it is amazing to me how many patterns are echoed throughout nature… it truly does look like very old and weather beaten skin. It sounds cliché, but nature is inspiring!